What are You Empowered to Do? It’s a scenario familiar to many: A-delayed-flight-so-missed-connection-and-now-no-more-flights-and-no-hotel-rooms-available-at-midnight-and-I’m-completely-exhausted. After countless calls, I thought luck had struck: I found a room! I quickly made the reservation. When I asked when the courtesy shuttle would arrive, I discovered an error: The agent had reserved a room for me at a hotel 250 miles away. Okay, mistakes happen. Now, I just need my credit card refunded and we’ll move on. Not so fast, Mr. Customer. The first customer service agent tells me she “doesn’t have the authority to give me my money back.” (Translation: I’m not empowered.) But she could give me a transferable credit. No, thank you. And up the chain of command I go. The next agent said she, too, couldn’t refund my card. “But I’d love to book a room at another hotel for you,” she said. (Translation: I’m not empowered either.) After 10 minutes she discovered what I already knew: No rooms available at any inn. And up the command line I went. Eventually, the fourth person I spoke with was able to ensure I wasn’t paying for something I had not received. Getting money back that you never spent was never this difficult. 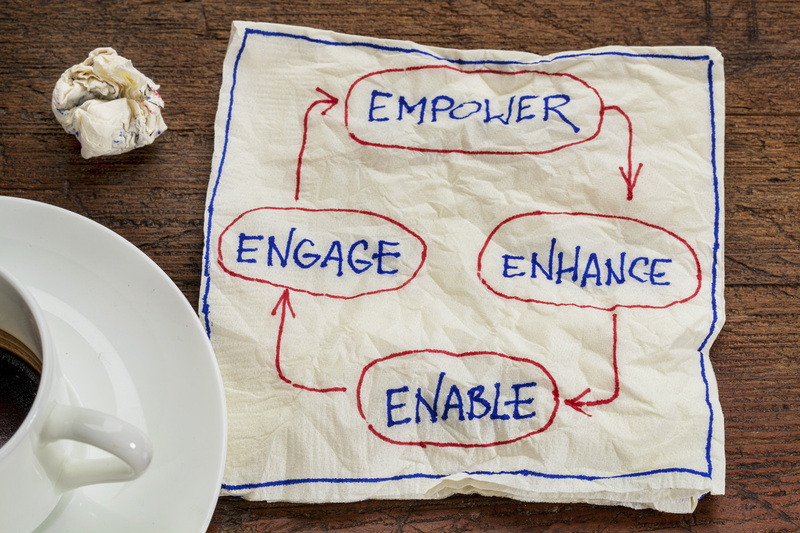 Employee empowerment: It’s the key to agile and accelerated growth. An employee, however, who is only empowered to make more money for the company, rather than meet the customer’s needs, is a flaw in the system.